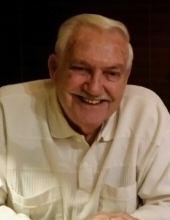 Robert Leo Funk, of Rolla, passed away Tuesday, January 15, 2019 at the age of 78. He was born on August 8, 1940 in St. Louis, MO to the late Peter Funk and Kathryn (Kautz) Funk. On July 14, 1998 he married Debbie (Shackleford) Funk. In addition to his parents, he was also preceded in death by one sister, Dolores Leassner, two brothers, Gerald Funk and Kenny Funk; and his mother-in-law, Mable Shackleford. Bob was a former captain of the Rescue Squad for the city of St. Louis. He was also a former member of the International Soccer team. Bob was a member of the Fraternal Order of Eagles, the Moose Lodge and VFW Post #2025. He loved watching all types of sports. Bob loved to spoil his wife, Debbie and also loved spending time with his grandchildren. Bob will be greatly missed by his surviving family which includes: his wife, Debbie Funk of Rolla; three children, Heather Light and husband Lawrence of Rolla; Debbie Copeland and husband Mark of Dallas, TX and Linda Funk of Jacksonville, FL; two sisters, Mary Ann Hill of St. Louis, MO and Jacqueline Schulte and husband, Vincent; and six grandchildren, Brody Light, Cooper Light, Ryan Copeland, Josh Copeland, Callie Paine and Corey Paine. A funeral service for Bob L. Funk will be conducted at 10 a.m. on Saturday, January 19, 2019 at the Null and Son Funeral Home in Rolla. Interment will follow in the Ozark Hills Memorial Gardens Cemetery. A visitation for family and friends will be held from 5-7 p.m. on Friday, January 18 at the funeral home. In lieu of flowers, memorial contributions are suggested to the Rolla High School Band Boosters. To send flowers or a remembrance gift to the family of Robert Leo Funk, please visit our Tribute Store. "Email Address" would like to share the life celebration of Robert Leo Funk. Click on the "link" to go to share a favorite memory or leave a condolence message for the family.